A highly contagious swine disease, Porcine Epidemic Diarrhea virus (PEDv), was found at a major swine show in Oklahoma City. 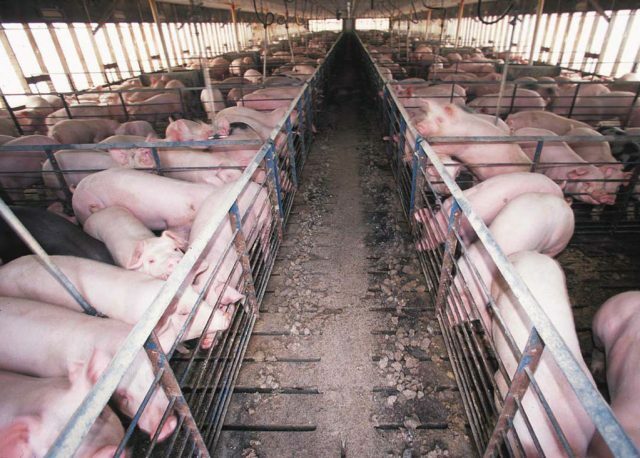 Thousands of pigs may be infected and thousands of people who walked through the barns could now take it home to their farms. It is called a “baby pig killer,” with almost 100-percent mortality. The disease is not transmissible to humans, and older swine that get it usually recover. The actions of show staff, the pork industry and media have been quite impressive since discovery on Wednesday evening. After working overnight to deliver the results of test samples in a very quick turnaround, the Oklahoma Animal Disease Diagnostics Lab, in Stillwater, confirmed Thursday morning the presence of PEDv at the Oklahoma Youth Expo (OYE) happening this week at the Oklahoma State Fairgrounds. PEDv is a highly-infectious swine disease that is particularly harmful on young animals, of 30 pounds or less, with a nearly 100-percent mortality rate. PEDv is not a human health risk and has no effect on food designated for human consumption. PEDv is thought to have gone undetected at the Oklahoma State Fairgrounds for a few days now and most all swine animals that have been there in recent days are believed to have been exposed to the disease. Ron Hays, Farm Director for the Radio Oklahoma Ag Network, spoke with Roy Lee Lindsey, executive director of the Oklahoma Pork Council, for the latest information on this developing situation. Anyone that has been to OYE should assume they have been exposed to the disease and could potentially be carrying it on their clothing, vehicle, equipment or livestock. Lindsey is warning everyone to practice extreme caution as they travel back home to limit the spread of this disease. The Oklahoma Pork Council released a statement with more information about the proper precautions to take to manage your risk at home and around susceptible livestock.